Campus Corps Painters has been painting in the Chicagoland area since 1968, and has no doubt already painted several homes on your street! We are a family owned local business, NOT a national chain or franchise. When you call us, you are calling our office, not a call-center. Although originally created as a "college kid" painting business, for over 10 years now, we continue to employ only the most qualified, professional, full-time adult painters. Our mission is to create a more beautiful home for you and your family. We will provide you with true value, professionalism, and workmanship of the highest caliber. 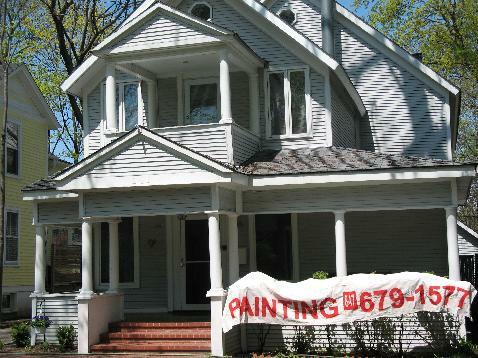 When it comes to housepainting, Campus Corps Painters is unmatched. Our painters take great pride in their work, treating your home with the same care as if it was their own. With over 20,000 homes painted locally, you will find that in all we do, our experience shows. THOROUGH PREPARATION: We'll go over every square inch of your home 3 TIMES, and clean up daily. FIRM PRICES: Our quoted prices are firm. FREE COLOR TESTS: Before starting, we paint sample patches onto the surface confirming your color scheme. THOROUGH TARPING: All adjacent areas are protected prior to painting. GUARANTEE: Unconditional written guarantee up to 5 years. We don't leave until your satisfied. REFERENCES: Over 20,000 satisfied customers. QUALITY WORK: We've painted more Frank Lloyd Wright homes than anyone. QUALITY MATERIALS: We use top of the line materials, such as Sherwin Williams or Benjamin Moore. 45+ YEARS OF EXPERIENCE: We have been a local, family-owned business since 1968. Call today for a free estimate . . . . . . . . . . . . . . . . . . . . . and get 20% off! To schedule a prompt, free, no obligation estimate, call these local suburban Chicagoland numbers.